Imagine this: Tomorrow, everyone in your organization is suddenly a Volunteer. They don’t have to work, they want to do something meaningful. They work only because they are passionate about a cause. They create value based on what they believe in, not because the bottom line matters to executives. The business world may not ever have to face this situation, sure. It’s hypothetical. But it’s an extremely useful reflection for you. Our society is moving closer to this mindset in people every day. Organizational culture and leadership would become an essential, critical success strategy. Leadership would prioritize creating a culture that fostered meaning. You would treat people with honor and respect, knowing by their goodwill, you are able to get more done. How would we act differently if our employees had more power of choice, than we have over them? As leaders, we prioritize developing a connection and personal relationship with our volunteers, so we understood why they work for us, and what they need to be successful. We view them as customers, more than employees. The culture is a major, front-and-center priority. We invest in the glue that binds people together and aligns them toward success, in ways that are healthy for the business. Appreciation and thanks are a daily act. All of our managers are trained to look for and express positive encouragement and gratitude. The bottom line and people’s well-being are DIRECTLY connected. “Without our volunteers, we are nothing” says a non-profit Director I interviewed. 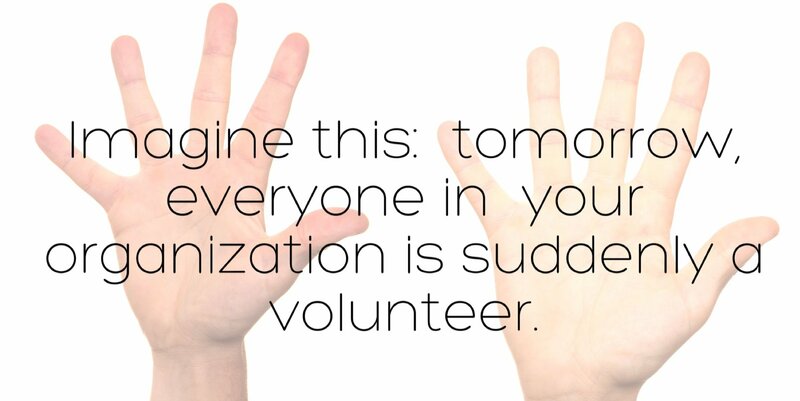 This mindset is perpetuated by a lot of communication and relationship-building in the Volunteer community, so they understand the cause they are working for, the “Why” and what success means. Or will you seize the opportunities to feed the soil your crops depend on: The connection between your people and your bottom line?